Servicing customers across South Wales and West of England through our regular van delivery service has been a part of our business since we first started baking. The Our Products pages will give you details of the wide range of products that we offer – from our pies and pasties through to a full range of breads and cakes. To comply with the FIR labelling regulations, existing Van Sales customers can click on this link to access our online portal which gives up to date product specification and allergen information. Please use the log in details provided on a Lewis Pies invoice. Chip Shops, Fast Food outlets, Cafés and Coffee Shops, Butchers, Delis, small Supermarkets and other Retail Outlets, Work and School Canteens, Pubs and Restaurants… anywhere which serves or sells food items. Van sales are supported by a dedicated account management team. Each customer will have a named account lead within our team, who will aim to understand the business needs of the customer. They will call you regularly to ensure everything is going well from your perspective. 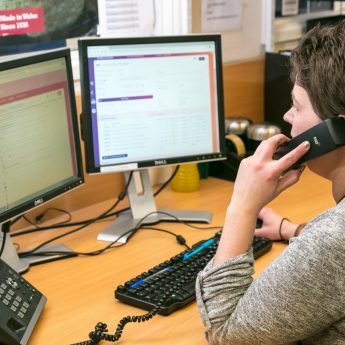 Customers can call any member of the team at any time during the working day (08:30 – 16:00) to place an order. Find out more about who’s who on the Our Team page. 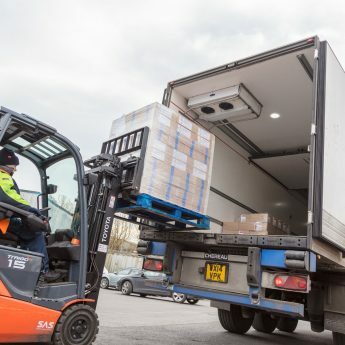 Our drivers will deliver most orders placed for Lewis Pies and Lewis Bakery lines by 3pm the next day, providing you are on the delivery route for that day, although you can also place orders with a specified delivery date up to 3 weeks ahead. In addition to pre-orders, our vans carry a stock of some of the most popular products in case you’ve forgotten something. You’ll have a regular delivery driver on your route, someone who you can get to know and who can get to know you and your business needs.